Roman Reigns Real Name is Leati Joseph “Joe” Anoa’i. Roman Reigns is an American Professional Wrestler. He is a WWE Superstar and one of the most renowned wrestlers in the world. Before joining WWE and taking wrestling as a profession, Roman Reigns was a professional Canadian football player. Roman Reigns went to the Pensacola Catholic High School in Florida. He played football at the High School for about three years. After that, he enrolled in the Escambia High School and played football there for one year. He was an excellent defensive player. Due to his amazing performances, he was declared as the Defensive Player of the Year by Pensacola News Journal. After that, he went to the Georgia Institute of Technology. There he joined the Georgia Tech Yellow Jackets team. During 2007 Anoa’i was signed by Minnesota Vikings. However, he was released just one month after he was signed. After that, he was signed by Jacksonville Jaguars but he was released just one week before the start of 2007 NFL season. Roman Reigns then tried his luck in the Canadian Football League and there he was signed by Edmonton Eskimos in 2008. He featured in 5 games for the team and made three starts. He was released by Edmonton Eskimos in November 2008 and then he retired from football. After that Anoa’i started his wrestling career and became a WWE superstar. Most of the Roman Reigns net worth can be attributed to his successful WWE career. Here are the details of his net worth. The Roman Reigns Net Worth is $3.3 Million. The professional wrestler has accumulated this net worth through his WWE career. Although he did play professional football in the Canadian Football League, Wrestling has been the most lucrative source of income in his life. Roman Reigns net worth started growing with his rise in the WWE. He became a worldwide sensation and won the hearts of millions of fans through his amazing WWE performances. 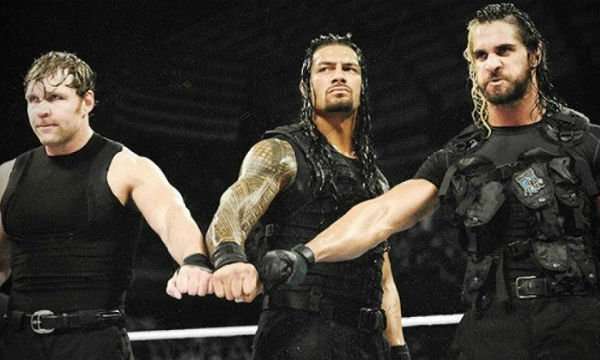 The wrestler first appeared in the competition as a member of The Shield group. After that, he started working as a single competitor. He quickly attained the skills required to become successful in WWE and it was in 2015 when he became the World Heavyweight Champion in Wrestle Mania. The salary of Roman Reigns started growing as the wrestler hustled his way past the lower tiers of WWE. After getting the high tier status in the year 2014, the Roman Reigns net worth and salary increased at an impressive rate. Here are the details of Roman Reigns Salary since the year 2013. 2013 – According to some websites, the salary of Roman Reigns during the year 2013 was around $227,750. 2014 – The salary of Roman Reigns in 2014 was approximately $314,138. 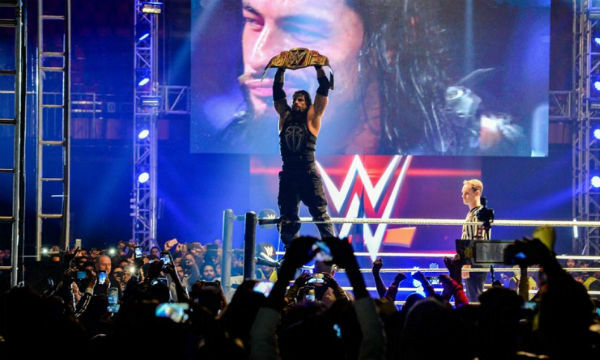 2015 – Roman Reigns earnings during the year 2015 reached an impressive $1 million. 2016 – The Roman Reigns salary during the year 2016 is expected to be around $2 million. Through his incredible performances and amazing results, the wrestler has emerged as the face of WWE during the last couple of years. And as the wrestler continues to win more titles and continues to win more fans around the world, his salary is likely to increase. 30 years old Galina Becker is the wife of roman reigns. They Met at Georgia Institute of Technology, and latter They Were Married at Disney’s Castaway Cay. they have an 8-year-old daughter also. Roman Reigns is half Italian and half Samoan. He comes from a family of professional wrestlers and has always enjoyed a lifestyle that revolves around wrestling. During his childhood, Roman Reigns grew up watching his father Sika Anoa’i compete in professional wrestling. Dwayne “The Rock” Johnson is a cousin of Roman Reigns. His brother Rosey (Mathew Anoa’i) is also a professional wrestler. Other famous wrestlers from his family include Rikishi, Yokozuna, Umaga, Manu, and Naomi. You might be thinking that where does Roman Reigns live? 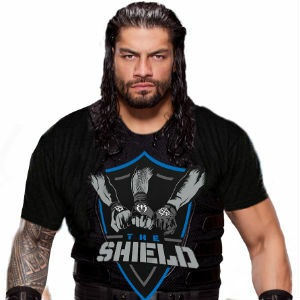 Well, today Roman Reigns resides in Connecticut, United States. He lives in a fairly simple house with his wife and his daughter. Being a WWE superstar, Roman Reigns has to travel a lot. The wrestler likes traveling in an SUV and goes on to reside in some pretty cool hotels during his travels. During the recent years, Roman Reigns has become quite famous and he is often referred to as the ‘Face of WWE’. However, the wrestler himself thinks otherwise. He himself has stated in an interview that no one person can be the face of WWE as there are so many popular wrestlers. Roman Reigns is also known for his charity work. The wrestler participated in “Dancing with the Knoxville Stars” in order to raise money for the East Tennessee Children’s Hospital. He also participated in a campaign to discourage bullying. Roman Reigns was recognized in the list of most charitable athletes in the world. He was declared the 13th most charitable athlete in the world for the year 2015, by the Athletes Gone Good Program. Today Roman Reigns is one of the most popular names in WWE. He has shown that through hard work and dedication you can succeed in life. The wrestler first tried his luck in football and despite trying his best he could not make it as one of the top names in the sport. However, this did not stop him from making it big in life. He took retirement from Football and then moved towards professional wrestling. He fought his way from the lower tiers of WWE and finally reached the top tier through hard work and dedication. And even after reaching the top tier of WWE, the wrestler did not rest. He continued to work hard and finally became the WWE champion. Roman Reigns net worth has been growing at a fast rate during the last few years and if the wrestler continues to work hard, we are likely to see his fame and wealth increase several folds in next few years.